Orthodox monetary economics impels a conception of modern bank money, which cogently shape – and adversely influence – the performance of the conventional monetary system. However, there is room for arguing in favor of solutions. “We now have scientific evidence that a structural fault is indeed involved in generating financial crashes”. In particular, modern bank money triggers system’s failures, i.e. banking and monetary crashes with increasing exponential frequency directly correlated to enhanced systemic efficiency. At a glance, the solution may be identified with an organizational monetary shift, which will convey modern society from the old social landscape typical of a mature Industrial Age to the new one peculiar of an Information Age. Now, the problem of orthodox monetary economics is to be identified with structural shortcomings that modern bank money carries out at a systemic level. Therefore, it is necessary to develop a systemic assessment on the issue of modern bank money with a look from outside toward the organization of the monetary system as a whole. In other words, the problem is that the system is not sustainable at the structural level by virtue of a conception of money, which presents architectural flaws stemming from the peculiar empirical way in which it conceptually arose and practically endured throughout history. The by-product of the semiotic process that discursively gave shape to conventional money as interest-bearing debt is a monetary system characterized by poor performance and structural instability. If the root problem is a discursive one, the solution may be offered by new textual practices emerging from semiotics. They will be as arbitrary as the past ones, but they will also perform potentially better in that they will derive from a more conscious cognizance of cause. In particular, a structural solution is what it is necessary for addressing systemic problems that modern bank money inherently brings about. Hence, rather than focusing on philosophy, semiotics or still linguistics, the study of complex flow systems applied to monetary systems is the exercise to perform in view of presenting monetary solutions at the economic level. In a nutshell, philosophy helped to arrive at a satisfying definition of the nature of money as well as theoretical ecology can offer improving insights relating to the structural level at which money operates. Findings at the systemic level will in turn enable to theorize and show a conception of money better tailored for the civilization of the twenty-first century. 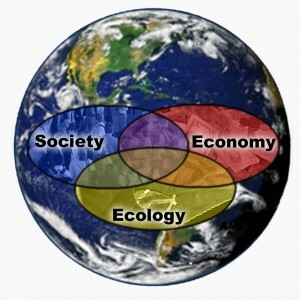 Process ecology enables a paradigm shift from newtonian epistemology centered on the idea of an “eternally changeless universe”, which find expression in orthodox monetary economics through the never ending research of short-term systemic stability to that one of ecology with long- term sustainability as the main goal: the meta-narrative shift is discursively about the analogy to deploy for the design of the monetary system. According to Lietaer, “in ecosystems, as in economies, size is generally measured as the total volume of system throughput/ activity. Gross Domestic Product (GDP) measures size this way in economies and Total System Throughput (TST) does so in ecosystems. Many economists urge endless growth in size (GDP) because they assume that growth in size is a sufficient measure of health”. Indeed, money is the fundamental element for catalyzing productive processes, allocating resources and more in general enabling an organic working of the system as a single entity. Unfortunately, the implementation of modern bank money brings about unintended side effects at a structural level. 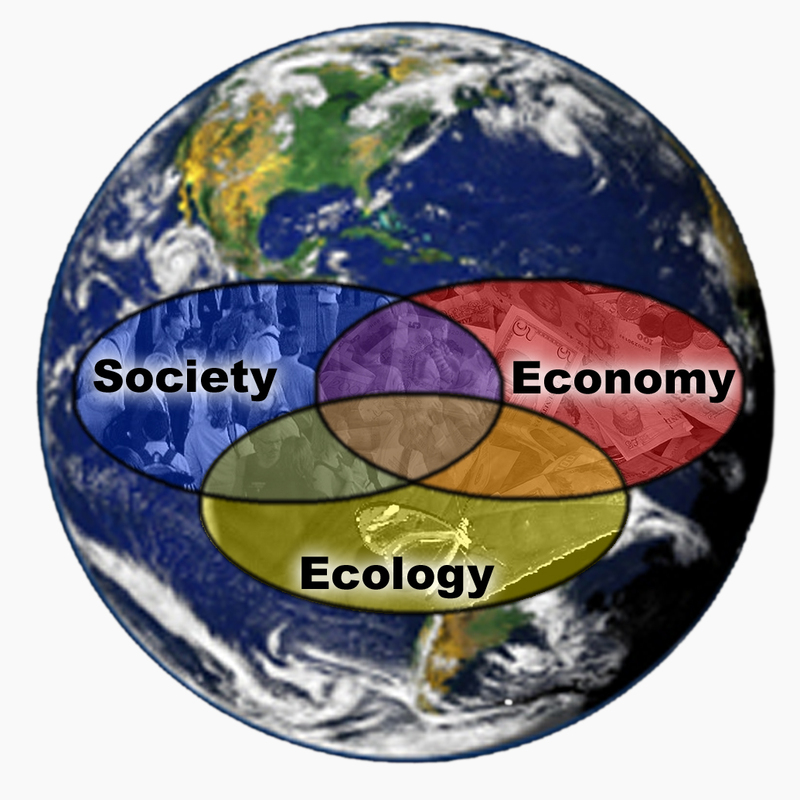 Thus, if one applies the framework of process ecology for the interpretation of monetary, banking and financial systems, it is possible to predict that an exclusive focus on systemic efficiency will irremediably lead to the creation of the kind of boom-and-bust economy that the monopolistic implementation of modern bank money brings about. Indeed, low diversity of moneys is the catalyst for high efficiency at the expense of an optimal level of resilience. A move toward reaching optimal levels of sustainability through the enhancement of systemic resilience by the implementation of agreements emerging from discursive practices other than the conventional one.